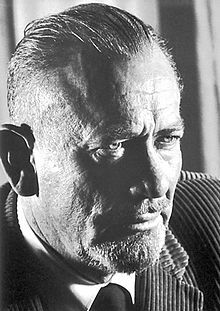 JOHN STEINBECK (1902-1968) was awarded the Pulitzer Prize in 1940 and the Nobel Prize in Literature in 1962. Born in California, he worked at a series of odd jobs and attended Stanford University before beginning his writing career. Among his classic works are "Of Mice and Men, The Red Pony, The Grapes of Wrath, East of Eden, " and "Cannery Row". The following is a personality profile of John Steinbeck based on his work. John Steinbeck is boisterous and expressive. He is intermittent, he has a hard time sticking with difficult tasks for a long period of time. He is empathetic as well: he feels what others feel and is compassionate towards them. But, John Steinbeck is also laid-back: he appreciates a relaxed pace in life. Shipped on time and excellent conditions!